Global space activity drives a substantial economic engine, fosters national pride, and enhances military power. Some nations invest in space for the domestic and international respect associated with their technological advances and satellite launches. Others focus more on the economic, commercial and social benefits derived from communications services, imagery, and applied sciences. Militaries have also long realized the force multiplication effect of space assets, including secure communications, reconnaissance, location and navigation services, force tracking, and the remote coordination and operation of war-fighting assets. Yet increasingly, military space is both dependent on and interwoven with civilian and commercial operations, human capital and expertise, space systems and assets, and infrastructureadding a new layer of complexity to governmental decision-making, national industrial policy, and the participation of the private sector within the space sector. So, while nations invest in space targeting different outcomes, the overall importance of space competitiveness is linked to national pride, economic strength, and national security. Together, the civilian, military, and commercial space sectors focus the broader space discourse around questions about space competitiveness such as the relative competitive position of traditional space leaders; the role of emerging space powers; and the aims of newer or smaller space participants. The Futron Space Competitiveness Index (SCI) top-level findings follow  for a copy of this highly informative report, select this direct link to the appropriate Futron webpage. The United States (U.S.) remains the current leader in space competitiveness, but its relative position has declined marginally based on increased activity by other space-faring nations. The U.S. still leads in each of the major categories: government, human capital, and industry, however, its comparative advantage is narrowing across all categories. European competitiveness remained roughly unchanged, with improvement in government metrics tied to updated policy and successful exploration programs, but offset by lower industry metrics. Russia also demonstrated improvements in government metrics, alongside relatively lower human capital and industry metrics. Japan posted major gains between the 2008 and 2009 SCI metric evaluations, due to substantial changes in its space strategy as well as its new space law. This resulted in the country jumping from the seventh position in the 2008 SCI to the fourth position in the 2009 SCI. China posted gains of nearly 10 percent in SCI points overall, fueled by government activity and metrics, but fell behind Japan in its overall ranking. The transparency of the Chinese environment remains a hurdle for the country, which publicly seeks greater international cooperation and commercial activity. Canada jumped nearly 10 percent in its overall SCI points, based on government metrics around both civilian and military space policy, along with a commitment to increase overall funding on space programs. India had a strong year of space activity, registering double-digit improvements in government metric scores, but lagged in industry scoring. Russia continues to be the most prolific nation in space launch activity, reinforcing its resurgence via strategic investments in launch platforms and infrastructure. There has been a codification of Europe-wide space institutionsboth civilian and militaryand Europe continues to enhance its joint policy, multinational corporations, and other market structures. India is poised to be a major collaborative player, and is a global leader in remote sensing. South Korea continues to invest in its nascent space program, highlighted by its first astronaut and the inauguration of its first spaceport, which mark major steps forward. Israel continues to be a leader in space technology but has limited commercial scale. Brazil has seen its position decline relative to other leading space nations, and lacks a clear strategy and commitment to invest in space activities. Transparency regarding space strategy, policy, and spending remains a significant issue with some countries, particularly in connection with military space activity. This reduces the ability of commercial space actors to optimize investment and participation in the industry. The U.S. has a robust government policymaking structure with detailed strategies for military, civilian, and commercial applicationsbut the complexity of the system, a lack of a unifying executive structure for decision-making, and the ongoing issue of export controls have a negative impact on overall competitiveness. The U.S. spends more money than any other nation on space. Its substantial military investment offers technology advantages, but may also obscure narrowing technological advantages in the civil space arena. European governments, through the European Union (EU) and the European Space Agency (ESA), have integrated their policymaking structures and are increasing spending, particularly within the civilian and commercial spheres. Japans recent updates to its space law and policy signal renewed government attention to the strategic, economic and social benefits of space activity. This renewed focus on the countrys space ambitions also highlights and leverages Japans advanced technological capabilities. Significant concern persists globally within industry and government regarding the development of adequate human resources supporting the space sector, particularly technically skilled personnel such as engineers. This is especially true among current space leaders, such as the U.S.where an estimated 60 percent of non-citizen engineers return to their home countries after earning degrees. Data regarding human resources within the space industry is sparse, and lacks consistency across countries. However, the 2009 SCI has added a metric for space law training capacity. Usage of, and reliance on, space-enabled services is skewed towards larger, advanced economies, particularly with the introduction of new satellite services such as navigation and end-user Internet access. Civil society interest and support is widespread, with a significant number of organizations throughout Asia, Canada, Europe, and the U.S., many of which have international partners. Satellite communications is the one market segment that is predominantly in the hands of the private sector. 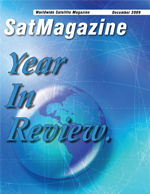 Significant commercial interest persists regarding remote sensing and informatics applications, as well as a rapidly growing downstream market based on the U.S.-operated Global Positioning (GPS) system. Despite its export control burdens, the U.S. commercial space industry remains the leader, with continued high revenues and financial activity. European commercial competitiveness remained largely unchanged between 2008 and 2009, providing a statistical counterpoint to perceptions that the European market has gained dramatically from efforts to develop alternatives to satellites and equipment now controlled by U.S. export regulations. Despite the relatively high overall position of Russia and China, the government sector continues to direct their national space industriesand national competitiveness is hindered by low levels of commercial activity. China has outlined a strategic objective to stimulate commercial space activity, but the legal and regulatory structure to support this goal remains unformed. Israeli space activities remain dominated by state-owned companies, but there are increased commercial relationships with Europe and Asia, as well as a number of smaller component manufacturers and entrepreneurs seeking venture capital. Israel is also strong in the ground systems and telecom sectors. The data included in this segmentation analysis represents only a snapshot of currently demonstrated capabilities at the time of writing. Refinement of the metrics in both the Space Technology Capability Base index and the Space Technology Achievement component. Expansion of technology areas is included in the Space Technology Achievement component, notably: space associated ground equipment and facilities (tracking stations, spacecraft processing and integration, etc); robotics; space related component manufacturing and spacecraft command and control. Investigation of the mapping of technology emphasis areas to national requirements, as expressed in policies and programs. Review of weighting used. The question of weighting of indicators in science and technology capacity or capability assessments is one of debate in the available literature. Futron will continue to review the literature on the subject to identify potential improvements to the weighting scheme used in this segment. Futron would like to thank the validators of this study for providing invaluable insight into this assessment. Lastly, Futron would appreciate the opportunity for feedback on our effort as well as industry experts and organizations interested in partnering in this initiative going forward. Futron Corporation is a premier provider of decision management solutions that improve outcomes for our clients by enhancing their ability to make complex choices. Our proprietary analytic models, methodologies, and data repositories transform information into intelligence. Our multidisciplinary, world-class team offers comprehensive knowledge of the aerospace, satellite, and telecommunications industries, with deep experience in statistical analysis, competitive assessments, forecasting, and strategy. Founded in 1986, Futron has a staff of some 100 experts, including policy analysts, management leaders, economists, regulatory specialists, and engineers. Futron is headquartered in Bethesda, Maryland with offices in Houston, Texas and Hampton, Virginia.